Casa Goichea is a colonial house built in 1930, which has a living area of 100 square meters, in good technical state, as well as being fully refurbished and painted, the overview is a good state. A nice casa with warm and friendly owners. The room is big, clean and safe. The price is very cheap for havana, but it does mean that centro or old town is a fair walk away and also the viazul station is still a taxi ride away. The location is quiet and away from the noisy central city. The property of Rollie and Elena is a little piece of heaven in Havanna. Its is a typical surreal builiding exactly where the guest has a complete interconnection with the people inside the barrio. The two spacious rooms have their own character, each with their own advantages. They both have fridges, a ventilator and a airconditioning, and inner windows- which give you an notion of the inside of the quarters. Each have one 2 person beds an one 1 person bed- so sleeping confort is guaranteed (for two or maby 3 persons). The neigborhood is on walking distance from the capitolio. I walked everything in Havana, and actually, besides the bicicletaxis, numerous retro carlifts, busses and ways to move around through Havanna- I would reccomend walking a 100 procent. Rollie and Elena are the niciest, warmhearted lovable persons I met in Havanna- and I TRIED to met them all :). I would absolutely- go back to casa Goicochea due to the fact inside the seven days I stayed in Havanna they have become my familly. For me are these people the true introduction with Cuban hospetality and humor and there certain one of the reasons to return to Havana. My sweet friends, Rollie and Elly- really like from Mikel. La familia de Rolando y Mar&ia Elena es sin duda acogedora, sincera y ayudan al viajero desde el primer momento, estube en 6 o 7 casas particulares en cuba y con diferencia esta es la mejor. The household of Rolando and Maria Elena is definitely warm, sincere and help the traveler from the start, i was in 6 or 7 houses in Cuba and by far this is the best. Rolando and Household are lovely and full of life energy and enthusiasum. Room with kitchen was one of the very best places we stayed, easy but all you need! We sold our bicycles to Rolando and now he plans to rent them to tourists for much less costly than you can uncover in other rentals in Habana, exceptional way to travel and see the city is on bike! When we arrived, it turned out we werent staying at this hostel but at another casa particular owned by a family member around the corner. This wasnt a problem for us, as we felt well looked after by our host Oscar. He was a fountain of local info and extremely willing to help us and give us tips. He and his wife were extremely welcoming. When we returned to Havana a few days later, Oscar told us to look him up again which we did and he sorted us out with another spot to stay nearby as he was full. 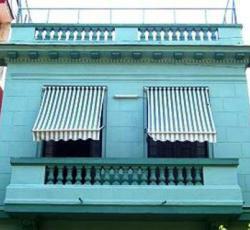 Neighborhood is around 25 mins walk to old Havana but situated near Plaza de la Revolucion. Nice period house. Excellent breakfast. Nice owners, especially liked own key and independent entry some thing rare in Cuba, extremely specious room, cooking area and batch! Casa Goicochea, run by Rolando Ocampo and his family, is most likely the nicest location I&ve ever stayed. All the amenities you need, and very superb value for money, with a lovely host household to create your stay enjoyable. On the first day, he showed me around the neighbourhood, showed me the local shops, the nearest money-changers, superb location to discover food etc. , everything! And made me feel right at home. The location is brilliant too. Its in a safe vicinity of vedado, with the malecon a half hour walk to your north, and habana vieja (tourist central, and deservedly so) a half hour to your east (where you pass centro habana along with the old capitolio). All in all, I&ve really enjoyed my stay here, and only wish it were longer. Gorgeous place, lovely family. * Casa Goicochea rated 4.89 out of 5 based on 9 customer reviews. Hostel reviews with a star rating are sourced from HostelBookers. If you find Casa Goicochea with the same booking conditions at a lower rate somewhere else on the internet after you have booked, we will refund you the total difference.